With the GIGAstick it is possible to measure virtually any resistors! 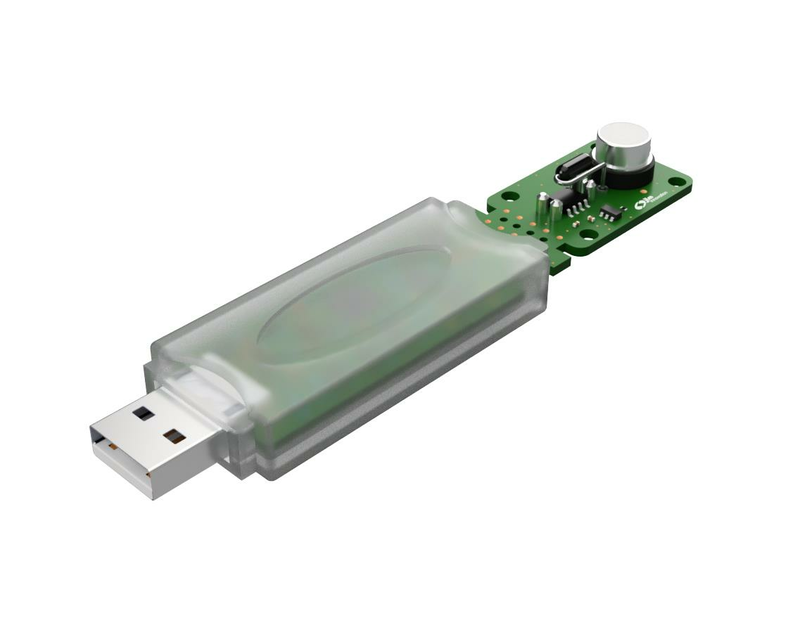 The GIGAstick is a compact high-end electronics instrument in USB stick format, which allows for measurement of any DC impedances. It has configurable range via an external gain resistor, and a usable dynamic range for each gain setting of at least 13 bits. 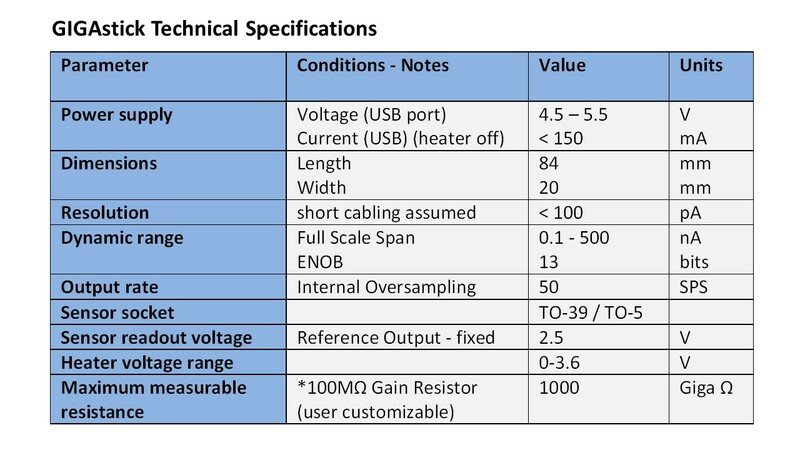 In high gain settings, it allows measurement of extremely high resistances up to one Tera Ω. In summary, the configurable range makes the GIGAstick highly adaptable to measure virtually any resistance. The GIGAstick is a Plug-and-play USB Interface and shares the main functionalities of the MOXstick, it is thus perfectly suited for measurement of metal oxide sensors (or any other resistive sensor), covering even a broader range of resistances, which makes it particularly useful for R&D, or especially demanding purposes. The GIGAstick does not need any driver installation, just plug in the USB stick and run the software. Use the provided program to set sensor excitation and sampling modes, and measure! MOX gas excitation programming and sensing has never been easier! The acquisition software can provide telnet connectivity, which besides enabling the setup of sensor networks also provides easy integration with software packages like MATLAB® or LabView®. Custom LabView drivers are also available on demand. Like the MOXstick, you can operate the GIGAstick with the MultiSens software and combine it with our other measurement systems to create a true hybrid sensor system integrating different sensor technologies. With the GIGAstick, we are able to offer a reliable and affordable research tool. Measurements that previously have only been possible with expensive equipment are now possible with a stick. JLM Innovation is a technology company that develops hardware and software for data acquisition as well as data analysis tools in the field of chemical sensors.